B. 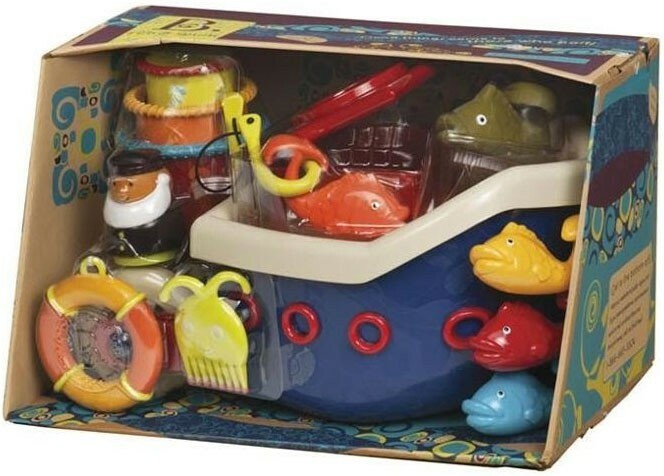 's Fish and Splish Boat makes bathtime so much fun! Be the captain of your own boat. Catch a fish. Comb your hair. Clean your nails. Scoop up the water and pour it out. Everything you need for a great time in the tub. 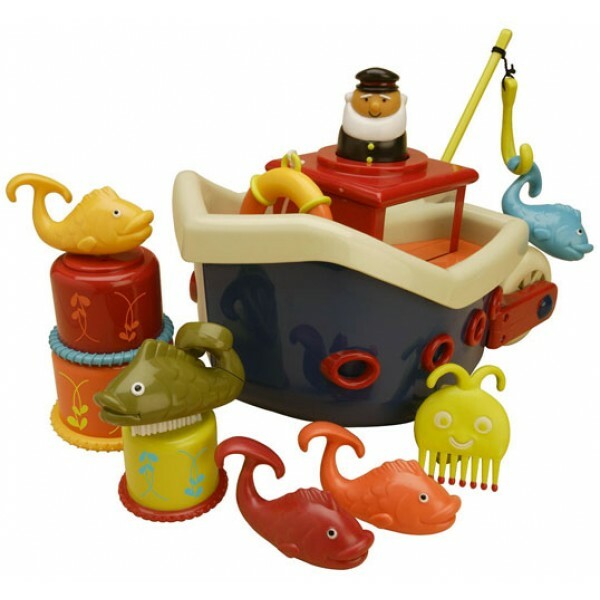 This floating boat includes a captain and life preserver, a fishing hook with 4 ready-to-catch fish, and 3 nesting cups for nesting, stacking, and pouring, plus an octopus comb and whale nail brush. Everything stores in the boat when bathtime is done! B. 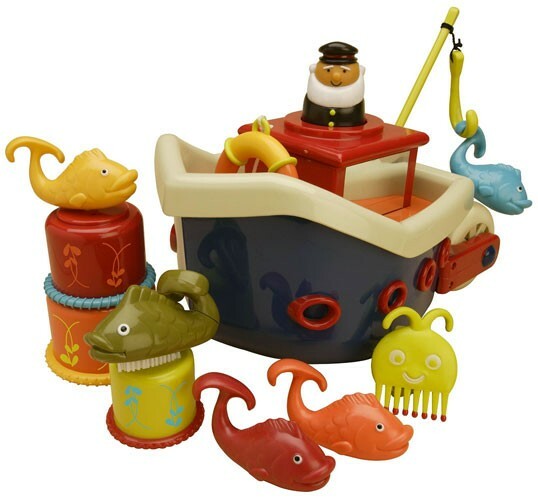 Toys produces creative BPA-, lead-, and phthalate-free toys with eco-friendly packaging.